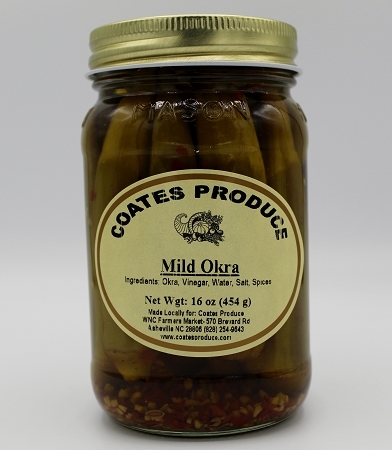 Mild Pickled Okra is a southern favorite. Goes great with your sandwich or your pintos and cornbread. Ingredients: okra, vinegar, water, salt, spices.